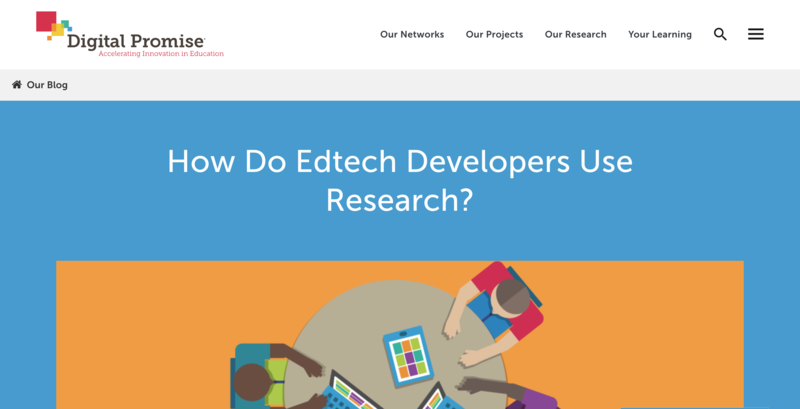 "How Do Edtech Developers Use Research?" In the article, "How Do Edtech Developers Use Research? ", Digital Promise discusses how research can drive the development of products with founders of edtech companies. Also, how an iterative, or rapid-cycle, approach to pilots and development is shaping products. Our founder, Mitch Slater, offers, "...the best edtech companies use published learning sciences research to inform the pedagogical approaches and instructional designs of their products.". © 2016 Levered Learning, Inc.